“Axis Mundi” is more of a continuation than a true progression from past material. It’s a solid, if not exactly riveting, record that recombines the primal pummeling of Decrepit Birth’s not-too-distant past with its more recent sensible, melodic inclinations. Whether or not that proposition is appealling is entirely up to one’s personal preference, but for this scribe it is a rousing success as it mixes the best aspects of the first two albums into readily accessible, densely structured songs with recognizable melodic hooks and Matt Sotelo’s now patented esoteric soloing. Joining founding members Sotelo (lead guitar) and Bill Robinson (vocals) on “Axis Mundi” is the new rhythm section of Sean Martinez (bass guitar) and Samus Paulicelli (drums). Frontman Bill Robinson has always been, and continues to be, the weak link in Decrepit Birth. His vocals have never been particularly compelling and “Axis Mundi” changes little in that regard. Robinson’s vocals are serviceable enough in that they do exactly what is expected of them, but little else beyond covering those basics. They have never been interesting enough to warrant any attention on their own, and “Axis Mundi” doesn’t rock the status-quo by making him the subject of different, or slightly more ambitious, vocal lines. Samus Paulicelli (whose parents probably really liked the Metroid video game franchise) is a more than suitable replacement for KC Howard and session drummer Tim Yeung. In their defense, at least Decrepit Birth has shown exponential growth in their lyrics since the days of “…And Time Begins”. “Axis Mundi”, as a concept, is found in several belief systems and philosophies and is understood as the center of the world, or the connection between Heaven and Earth. ‘Spirit Guide’ is about Aztlán, the ancestral home of the Aztec peoples and their migration from Aztlan to central Mexico. It also references Sipapu, a Hopi word for the hole through which the "First Peoples" of the Earth and their ancient ancestors first emerged to enter the present world. ‘The Sacred Geometry’ concerns the belief that there are symbolic and sacred meanings to certain geometric shapes and certain geometric proportions, and that a god is the geometer of the world. It has its roots in the study of nature, and the mathematical principles found therein. Sacred geometry can be found in ancient Egyptian, Indian, Greek and Roman structures. ‘Hieroglypic’ details, among other things, the Bindu, or the point at which creation begins and may become unity, in Hinduism. ‘Transcendental Paradox’ is about the Sri Yantra, a mystical diagram that consists of nine interlocking triangles associated with the Shri Vidya school of Hindu tantra. Like their German brethren in Obscura, the Californians understand that death metal can be meaningful on the lyrical front. ‘Vortex Of Infinity – Axis Mundi’ and ‘Spirit Guide’ are at least vocally more ambitious with their sparse narration next to Robinson’s usual growls. 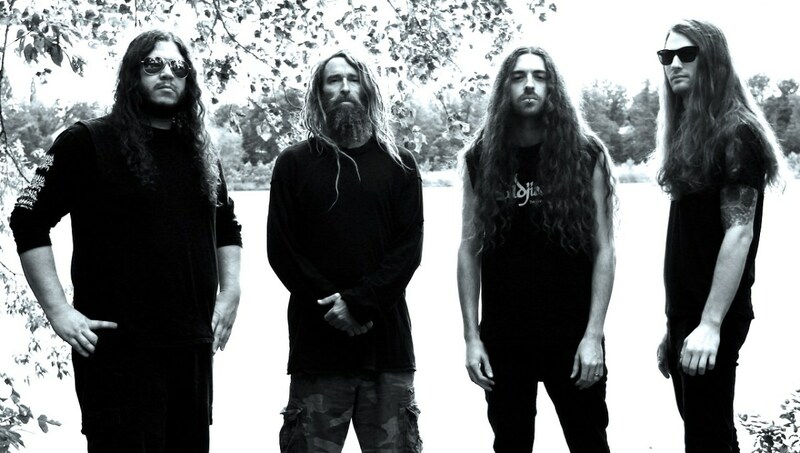 Not that Decrepit Birth is venturing into Obscura or “Focus” era Cynic territory anytime soon. The choice of cover songs on the vinyl edition offer up at least one surprise. While one would typically expect Decrepit Birth to cover Death’s ‘Cosmic Sea’ instead they opted for the psychedelic ‘Orion’ from Metallica’s “…And Justice For All” instead, as well as ‘Desperate Cry’ from Sepultura’s “Arise” and ‘Infecting the Crypts’ from Suffocation. The Suffocation cover doesn’t exactly surprise as Robinson has acted as their stand-in frontman in 2012 and Paulicelli already covered the track on his YouTube channel in 2016. The Sepultura cover song proves that Max Cavalera’s gruff barks remain unsurpassed and that Robinson, in all ways his superior, isn’t able to match, let alone improve on, them. It’s testament to the fact that the 1991 Sepultura opus is truly a timeless effort in extreme death/thrash metal mastery. Even two decades later the songwriting and compositions of “Arise” have yet to be surpassed. “Under a pale grey sky, we shall arise…” Indeed. “Axis Mundi” may not be Decrepit Birth’s “Arise” but at least it’s clear they are doing a concerted effort to diversify. “And Time Begins” was practically an early Deeds Of Flesh record, and about the only interesting thing about it was the stellar Dan Seagrave artwork. “Diminishing Between Worlds” was where Matt Sotelo and his friends finally decided to write actual songs and “Polarity” pushed them into more melodic territory. “Axis Mundi” will be polarizing in the sense that it merges the two directions into one. In terms of intensity it leans closer towards “…And Time Begins”. Not that that is bad. “And Time Begins” was frequently, if not entirely, an undirected projectile of pummeling ferocity. “Diminishing Between Worlds” steered that aggression into recognizable songs with the added bonus of Schuldiner-esque guitar soloing. “Axis Mundi” takes the aggression of the former and the well-developed song constructions of the latter, and then adds to both for extra spice. On “Axis Mundi” Decrepit Birth looks towards its past, present, and future. As such it’s a solid return for them, a band that has probably evolved more than some of its more popular brethren. At least they are significantly more traditionally inspired than, say, an Inherit Disease but Decrepit Birth is the farthest from bands as Insentient and Italian combo Resumed, both of whom take the Death influence beyond mere guitar leads. Why exactly was it again that Leslie Medina (Insentient) wasn't offered a guest lead guitar slot? 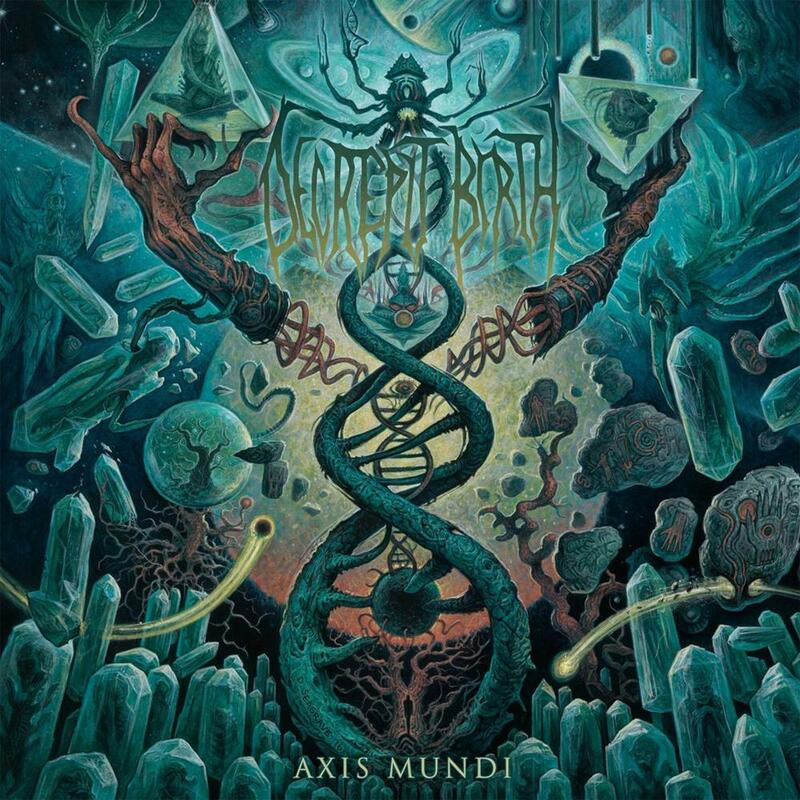 “Axis Mundi” will probably be a disappointment to the most die-hard of Decrepit Birth fans. Others might be entirely indifferent to it. The truth, as always, is somewhere in the middle. It is a solid return for a band that has shown not to be afraid to evolve on all fronts. 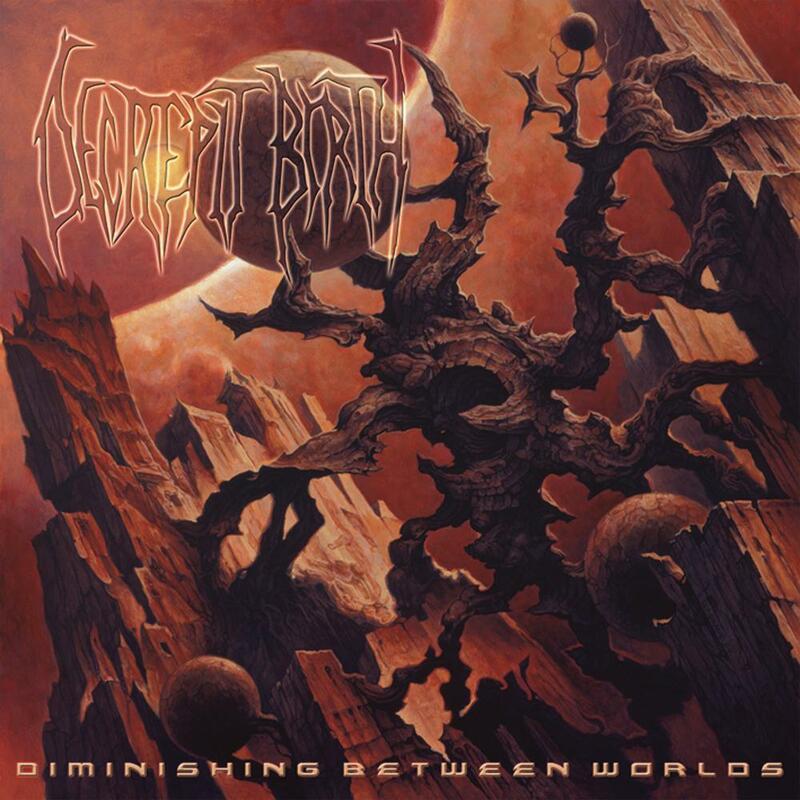 Its basis is sturdy and traditional death metal and since “Diminishing Between Worlds” Decrepit Birth has, to its credit, allowed the integration of 90s genre conventions into its decidedly millennial and highly technical approach. “Axis Mundi” pushes those conventions farther than ever before – and its the first Decrepit Birth effort that is enjoyable from front to back. Decrepit Birth has always had a penchant to overcompensate and “Axis Mundi” is no different. There are enough blasts and esoteric guitar leads to satiate anybody’s craving. More importantly, though, is that this time Sotelo and his comrades concentrated on writing consistently strong songs. There was a time not all that long ago when Decrepit Birth was but a meager Deeds Of Flesh clone. Thankfully in more recent years they have started to live up to their innate potential. The second Decrepit Birth record is where the band finally decided to capitalize on the instrumental skill of its (now solidified) membership. Where the preceding album was a lovenote to Deeds Of Flesh and “Despise the Sun” era Suffocation; here lead guitarist Matt Sotelo plundered the catalog of Atheist, Cemetery, Death, latter day Pestilence and Watchtower in what can be charitably called one of the biggest about-face turns in death metal in recent memory. Not only is “Diminishing Between Worlds” more musical and technical than “…And Time Begins” – it is also the first where the band actually writes recognizable songs. Marred in the mastering process with a too low volume (which was duly rectified in later pressings) it became a breakthrough record for the band. 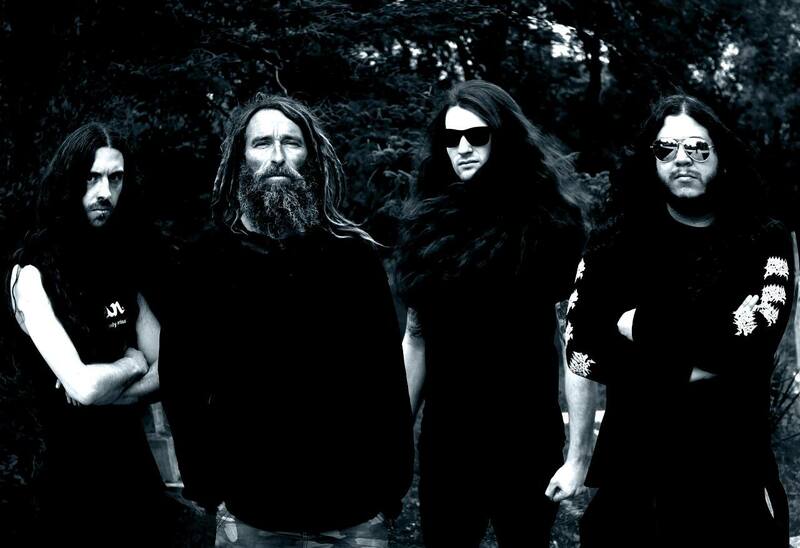 After the album’s promotional campaign Decrepit Birth would depart from Unique Leader to sign with German conglomerate Nuclear Blast Records, along with a host of other similar bands. Decrepit Birth’s transformation into a more musically refined and technically accomplished outfit was a welcome change from the soulless drab of its unremarkable debut. At least in part “Diminishing Between Worlds” initiated a movement within the California scene that had previously plain brutal (and uninteresting at that) death metal acts following in its footsteps in surprising numbers. Even established institutions as Deeds Of Flesh, Severed Savior and Vile were moving away from their patented sounds to pick up on the success of this album. Most notable from the debut is the increased influence from the likes of formative technical (death) metal acts Atheist, Death, post-“Consuming Impulse” Pestilence, Theory In Practice and Watchtower. For the first time Sotelo decided to play leads and solos, something he categorically refused to do on “…And Time Begins”. The songs are much more deliberately paced, and the band even attempts to add atmosphere to some of the more ambitious songs. That some of the songs are filled to the brim with ideas was to be expected, as was the fact that the execution is sometimes lacking. At least the band was attempting to infuse some life into the established (and by this point, tired and banal) California death metal sound. It wouldn’t be too far off to say that “Diminishing Between Worlds” has Decrepit Birth, or composer Matt Sotelo at least, writing actual songs for the first time in his career – and not mere collections of random riffs and seemingly endless blasts. All these songs have a recognizable beginning, middle and end, which is a commendable evolution from the band’s unspectacular debut from a few years prior. The greater prominence and reliance on leads/solos allows for more open compositions, and even the bass guitar has become more important in the overall scope of things. Decrepit Birth is still not an “innovative” or “progressive” band by any stretch of the imagination, as they just moved from one trough to another – and don’t exactly hide from which bands they culled their inspiration this time around. If this sounds like “Testimony Of the Ancients”, “Nespithe” and “Individual Thought Patterns” played ten times faster, that’s exactly what it is. For the first time the band also attempted instrumentals with the tranquil ‘The Enigmatic Form’ and the forgettable outro ‘The Morpheus Oracle’. The former sounds like something off Pestilence’s experimental “Spheres” album, while the latter sounds like one of those latter day Morbid Angel interludes. Decrepit Birth however never get lost in its technicality and instrumental skill side-stepping the rake that has come to define Brain Drill, that other famously technical California death metal band, that they forget to write songs. “Diminishing Between Worlds” is an interesting exploration of the more sophisticated side of the death metal genre, and while modern in construction it at least remembers the tropes and conventions of the classic death metal era that preceded it. Not all aspects of the band have undergone the same steep transformation. Vocally there is no evolution to speak of. Bill Robinson is still as bog standard and uninteresting as modern day death metal singers come. He is very much reminiscent of Rich Lipscomb (Fleshgrind) that way, although he is tonally closer to Matti Way. Robinson does enunciate better than most of his peers, but his performance reeks of stagnation. Both bass guitarist Derek Boyer and studio musician Tim Yeung had moved on since the debut, and they were replaced by members of local upstarts Odious Mortem later down the the line. Introduced on this record is drummer K.C. Howard, and his debut is as smooth as one could imagine. For the session Sotelo recorded all the bass guitar parts in the studio, while Joel Horner would handle the instrument in the live arena. All three tracks of the “2006 promo” are re-recorded here, along with a fairly redundant retake of the “…And Time Begins” title track, otherwise the record is entirely composed of new material. Once past the re-recorded ‘…And Time Begins’ the album and band regress back to a more primal state, which is surprising considering how musical the first half of the album was. The exception to this being ‘Essence Of Creation’ which merges both sounds flawlessly. In fact ‘Essence Of Creation’ is one of the greatest tracks on this outing, along with ‘Reflection Of Emotions’ and ‘Through Alchemy Bound Eternal’. The hyperbolic fan reaction was understandable as California death metal never was the most interesting variation of the genre, but to call Decrepit Birth “progressive” and “innovative” is just intellectually dishonest. It should be expected that bands get better and more musical as they get older, it shouldn’t be treated as some unexpected rarity. As such “Diminishing Between Worlds” is a transitional record, and has the band finding its creative voice after a meddling debut. It is one of the better modern day death metal records, and it is not stifled by either a sterile production or a too singleminded focus. While it was pivotal in getting the tired and tiring California death metal sound out of a self-imposed creative rut, the record isn’t nearly the genre-defining masterpiece it is made out to be. No. The foundation of this album was laid by truly adventurous albums from veritable progressive (death) metal units as Atheist, Cynic, latter-day Death, Pestilence, Theory In Practice and Watchtower. Decrepit Birth wrapped all these various influences in a contemporary package, and presented the goods with a crunchy modern sheen. Still, it is hardly the thing to call them progressive for. That’s just being competent, and conscious of the genre’s roots and history. Nothing more, nothing less. “Diminishing Between Worlds” was mostly a home-recorded affair, much like the band’s 2003 debut. Matt Sotelo laid down rhythm/lead guitars, bass guitar, keyboards and vocals at his own Legion Studio. Drums were recorded at Castle Ultimate Studios with Zack Ohren, who also mixed and mastered the album. For the second time around a Dan Seagrave artwork was commissioned, and like the prior album it was released through California death metal specialist label Unique Leader Records. For the most part it is the end of an era for band and label alike, as Decrepit Birth would sign with major label Nuclear Blast Records, and Unique Leader was just a few years away from transforming into the populist deathcore-centric imprint they are today. “Diminishing Between Worlds” is the only record of its kind in terms of membership, as the Odious Mortem members would all take their leave around 2010-2011 in an exodus reminiscent of mid-era Dying Fetus, or 90s era Malevolent Creation. The duo of Sotelo and Robinson persisted, and eventually wrote a third record for their new label home. The transition into more melodic and technical territory is handled well, and Decrepit Birth finally started living up to its potential through it. Still all of that doesn’t change that the album is unjustly lavished in hyperbolic praise. Sure, the album is leagues above the troglodyte debut, and vastly better than most of Unique Leader was putting on the market at the time, but records by Death, Pestilence and Theory In Practice that inspired this recording were widely available at the time of this album’s release. Progressive this band never was, just competent and cognizant of the technical (death) metal genre’s formative acts. The transformation Decrepit Birth has gone through is admirable to say the least – but records like these were produced during the 90s as well, which is a fact a lot of fans selectively choose to ignore. The album lasts a quarter of an hour, which is a good fifteen minutes longer than the debut (which barely lasted 30 minutes), and the songs are worked out to a more satisfactory degree. All of this makes it the better Decrepit Birth album, but still not the progressive death metal masterpiece the fandom and media make it out to be. It is competent and well-played, but hardly revolutionary.